You may recognize Aisling from our Skintervention video. Here you can learn a little more about her. Aisling was a happy, busy working mum who was pregnant with her second child when she went on a team building session with her colleagues. While in her more casual clothes, a colleague noticed a strange looking mole at top of her back. They told her it looked suspicious and that she should get it checked out. Aisling had never noticed the mole before as it was on her back and she had never checked her skin before. It was only when her colleague pointed the mole out to her that she realized how big it was. She decided she would get her GP to look at it. When Aisling’s GP saw the mole, he thought it looked suspicious and referred her to a consultant dermatologist. When the consultant performed tests on the mole and diagnosed her with melanoma, the most serious type of skin cancer, she said that she had absolutely no idea what it was. Aisling notes that as an adult, she was careful to use SPF 50 all the time. However, many people do not realise that just one bad sunburn before you’re 18 could increase your chances of skin cancer by half. That is why it is important to always protect your skin, no matter what age you are. The damage you do to your skin as a young person can affect you later in life. 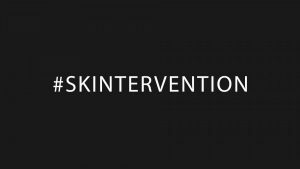 Aisling is now helping the Marie Keating Foundation to launch a Skintervention, reminding Irish people to look after their skin by being SunSmart. She also hopes that people will check their sin regularly to look for the ABCDE signs of melanoma.